Congressional paralysis is "wasting copious amounts of precious taxpayer dollars," Defense Secretary James Mattis said Friday as he laid out the Pentagon's new National Defense Strategy. 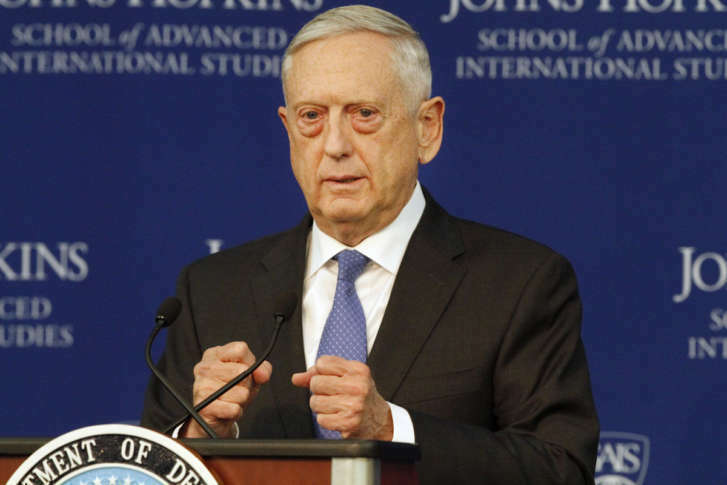 WASHINGTON — Defense Secretary James N. Mattis presented Friday the first new National Defense Strategy in 10 years and at the same time harshly criticized Congress for creating the most destructive enemy the military has faced. Mattis warned that the pattern of repeatedly authorizing continuing resolutions has a cost. “Today, as our competitive edge over our foes erodes due to budgetary confusion, even with storm clouds gathering, America’s military, as I speak, is operating under yet another continuing resolution,” he said. Mattis, during his more than 40 years in uniform, commanded Marines at all levels, from an infantry rifle platoon to a Marine Expeditionary Force. He warned inconsistent funding takes a toll on readiness and is unfair to America’s men and women in uniform. “We must remain faithful to those who voluntarily sign a blank check payable to the American people with their lives,” he said.